Stephen Massil, book cataloguer, describes 575 as a house in which we can sense ‘the overwhelming personality of one occupant’. 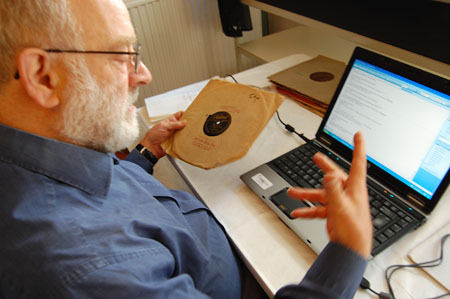 All the books and records in the house belonged to its creator-owner, Khadambi Asalache, and Stephen has therefore gained unique insight into the artist’s cultural interests and possible influences on his work. Stephen has been making his way through glossy art books, English and American literature, modern poetry and a collection of East African literature, of which he has catalogued more here than at any other property. Khadambi, a poet, kep t copies of publications in which he was interviewed or his poetry was published. Stephen explains that one gets knowledge not only of his career but also of his contacts and friends, as, for example, there are books containing dedications from poets with whom Khadambi was clearly acquainted. 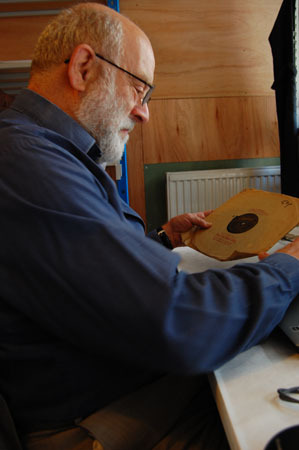 Stephen has also been cataloguing vinyl and 78 records, including a lot of jazz and African music, as well as Beethoven, Bach, Handel and Mozart. 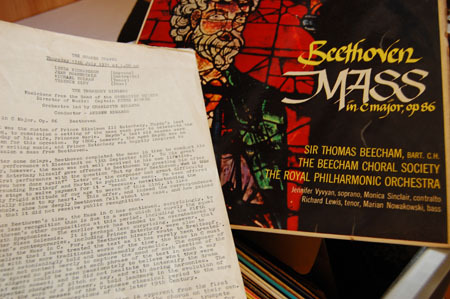 One item he recently came across that caught his interest was a vinyl record of Beethoven’s Mass in C, a record he owns himself, which contains inside the sleeve a Christmas concert programme of the choir of the Treasury, Khadambi’s employer, which one can assume he attended. 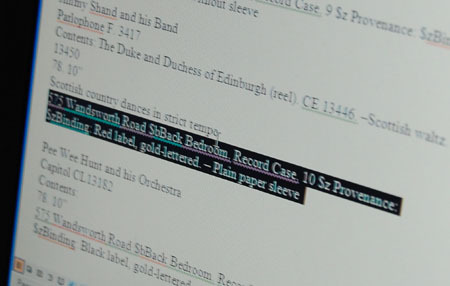 This entry was posted in Interview, Inventory and tagged catalogue, library, national trust, records, vinyl. Bookmark the permalink.